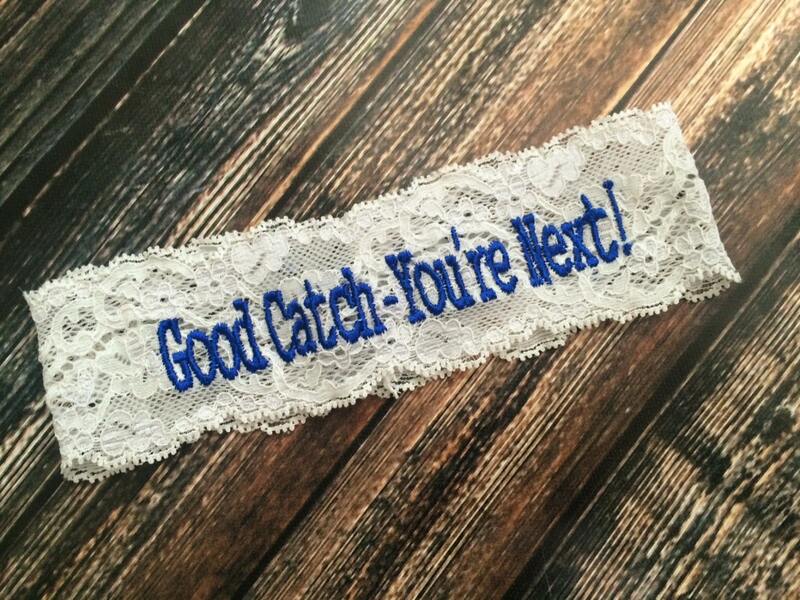 This fun toss garter is shown in a Royal blue embroidery with "Good Catch - You're Next!" ™. Want another color or saying? Just ask! THIS LISTING IS FOR ONE GARTER. PLEASE LET US KNOW WHAT YOU WOULD LIKE MONOGRAMMED IN THE NOTE TO SELLER SECTION AT CHECKOUT.